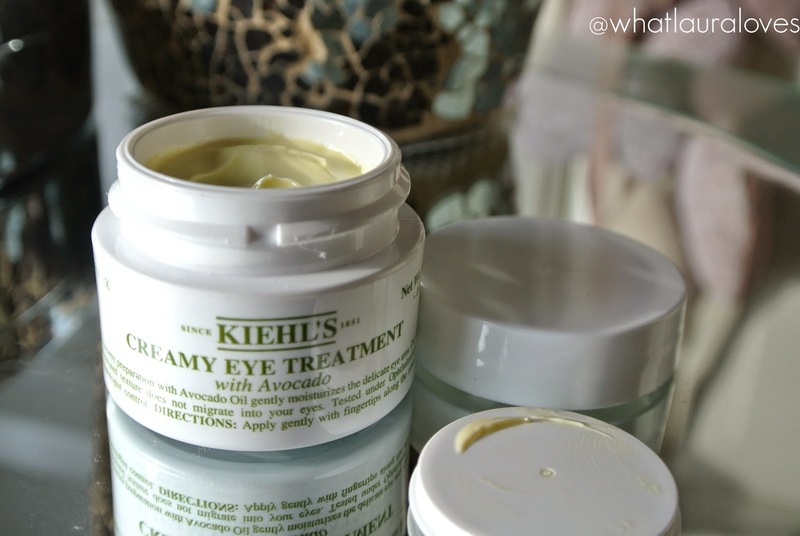 The Kiehl’s Creamy Eye Treatment with Avocado is without a doubt, the BEST eye cream I have ever used. I’d been wanting to try this eye cream for the longest time but if you’ve bought eye creams yourself then you’ll know how long they take to use up because you literally use the smallest amount. I’ve had a couple of drugstore ones on the go for the last couple of years and I have FINALLY come to the end of them. I had a pot of this ordered from Space NK, ready and waiting to be opened. The Creamy Eye Treatment contains a concentrated formula including vitamin A, avocado oil and fatty acids amongst its ingredients which aim to provide intense hydration to the skin around the eyes. From the outset, I can definitely say that this is a product that does what it says on the pot! 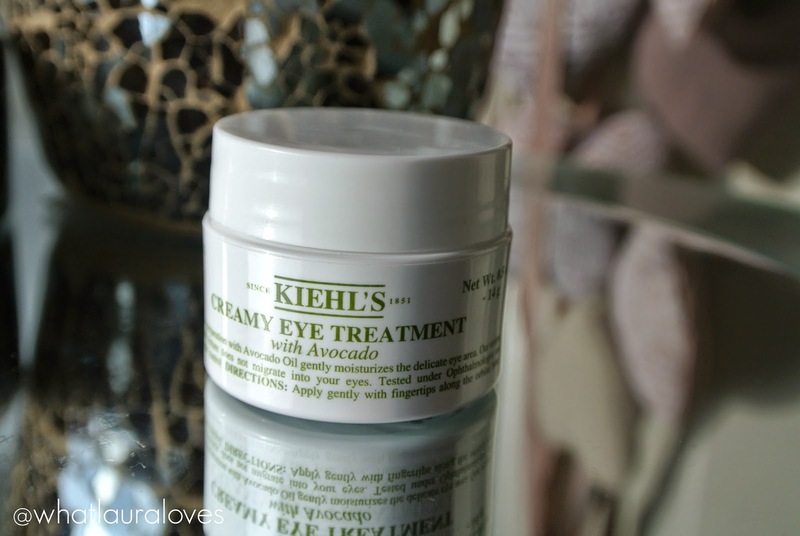 The Kiehls Creamy Eye Treatment with Avocado is an eye cream like no other that I have tried before. I thought it would be rich and creamy but I didn’t realise just how rich and creamy it would be. The formula is incredibly thick and has a little bit of a tackiness to it that you don’t get with a normal eye cream formula. It feels so nice, not sticky but substantial so when I apply it I can tell that I’ve put it on and it seems to give a tightening effect, really smoothing the area around my eye. The super thick formula also stops the cream from migrating into the eyes. I love this about the product because my eyes have a tendency to water at times and it can be quite painful if I get eye cream in them whereas I never get that when I use this eye treatment. 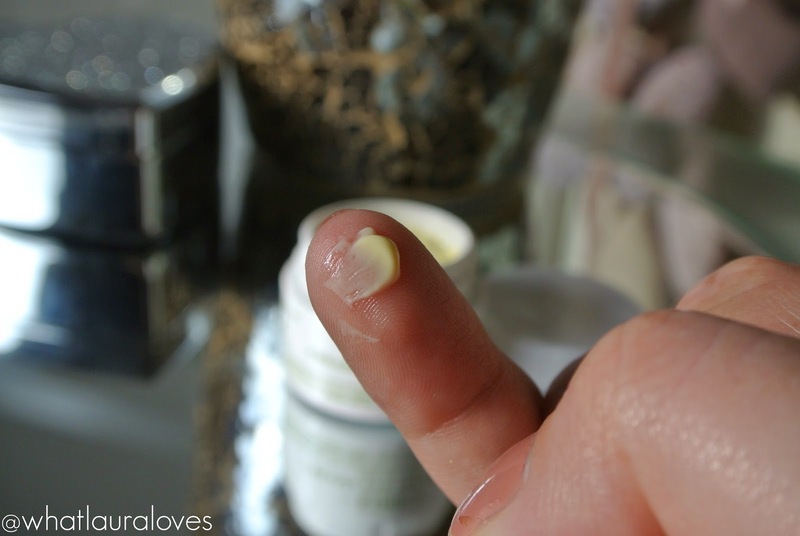 I take a small amount of product and rub it between my ring fingers, then I tap it onto the delicate skin around my eye where my orbital bone is, both morning and night. It applies easily and doesn’t tug the eye area at all. I suffer with a little dehydration in my eye area and some fine lines particularly underneath my eyes. I can tell a massive difference in the skin around my eye area when I use this treatment as it looks a lot more hydrated and smooth. This in turn, provides a great base for me to apply my make up on top of as it really smoothes out the skin. I haven’t been using it for long enough to notice long term benefits such as softening of fine lines but I can definitely confirm that my eye area looks much more alive and hydrated after using it and I will definitely be repurchasing further pots of this to use it on a long term basis. I have never used an eye cream that I have felt that strongly about in the past and this is the best performing one I have ever use. I actually look forward to applying it! You can buy it from Kiehls, Debenhams, John Lewis, Space NK and House of Fraser. I would like to try this once my arden one is over. I'm a big fan of avocado and Kiehl's, so I bet I'd rate this very highly. Wish I could afford to spend more on skincare! Best ever? Ok, after reading this write-up on it, I have GOT to try this miracle worker! I like the sound of this! I don't have any eye creams because I don't know which one to buy but I love Kiel's and the addition of avocado is interesting! It sounds like a great product and definaely worth trying especially after reading your post.